The Lewis and Clark Overlook and a native plant garden sit where the museum’s lush gardens meet sagebrush, with panoramic views of the Gorge, plateaus and majestic Mt. Hood. 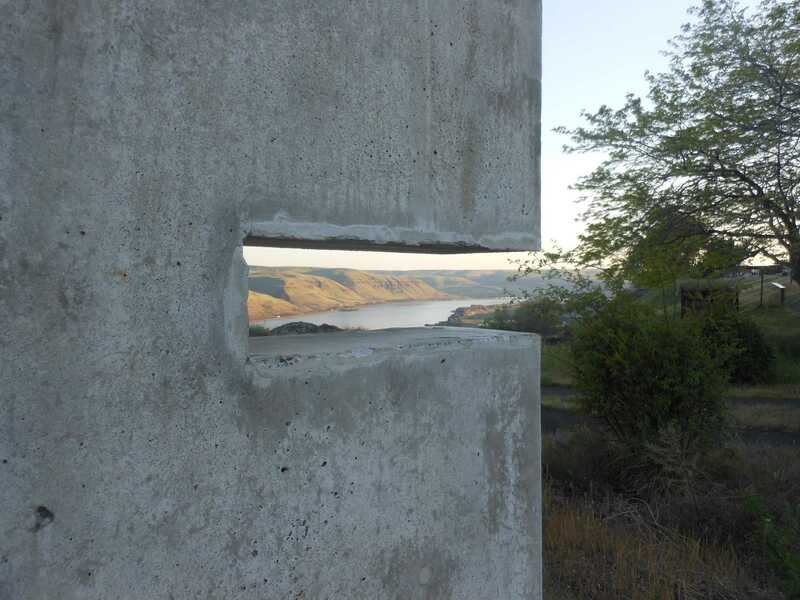 The centerpiece is The Maryhill Overlook, a site-specific sculpture by renowned architect Brad Cloepfil. 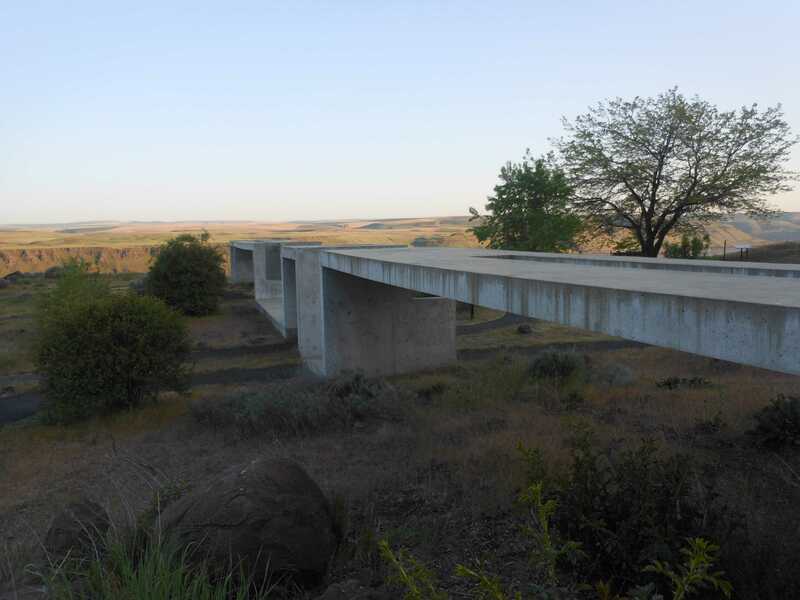 Constructed in 1998, The Maryhill Overlook is a site-specific sculpture featuring a 150 foot ribbon of concrete with openings that provide capsule views of the surrounding landscape, transforming and shifting with light and perspective. It was Allied Works’ first completed Sitings Project, part of a series of conceptual proposals seeking to interpret and reveal the diverse landscapes of the Pacific Northwest. 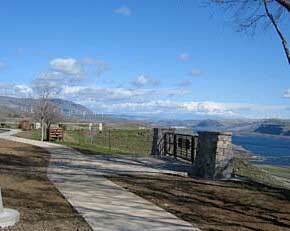 From the Lewis and Clark Overlook west along the south side of the museum is a mixture of walkways and viewpoints that offer spectacular views of the Columbia Gorge. This development was made possible by a generous grant from Cannon Power Group with additional support by Gunkel Construction. 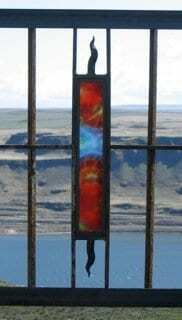 An art fence at the Windy Flats Viewpoint was designed and created by Columbia River Gorge artist Tom Herrera and incorporates historic wrought iron originally owned by Sam Hill. David and Roseangela Capobianco donated the iron to Maryhill for the project, which was also supported by the museum’s Arthur G. Dunn Guild of Seattle. Images: Windy Flats Viewpoint; The Maryhill Overlook, 1998; The Maryhill Overlook (detail), 1998; Detail of fence at Windy Flats Viewpoint with glass art by Linda Steider.